You have to be living under a rock not to notice the Farmhouse decor trend that has gained momentum the last few years. 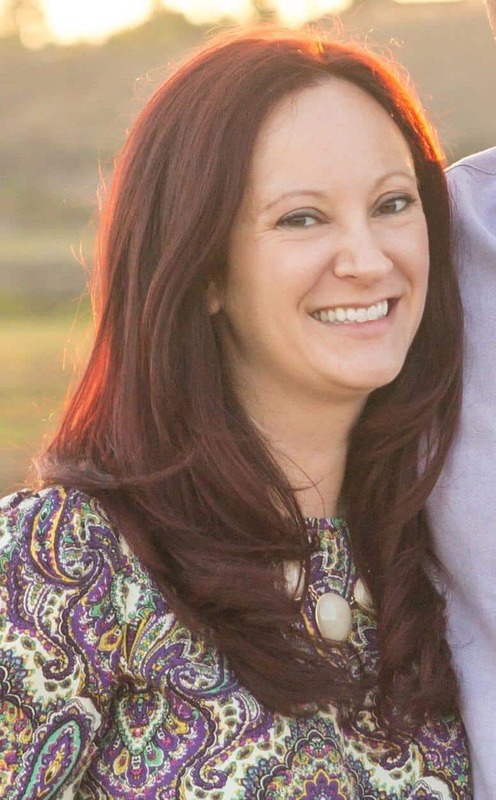 We have Joanna Gaines from HGTV’s hit show, Fixer Upper to thank for bringing the white washed, shabby chic look into the spotlight! Shiplap, light and airy paint colors, open shelving and natural wood elements are all parts of the farmhouse style that people have fallen in love with. 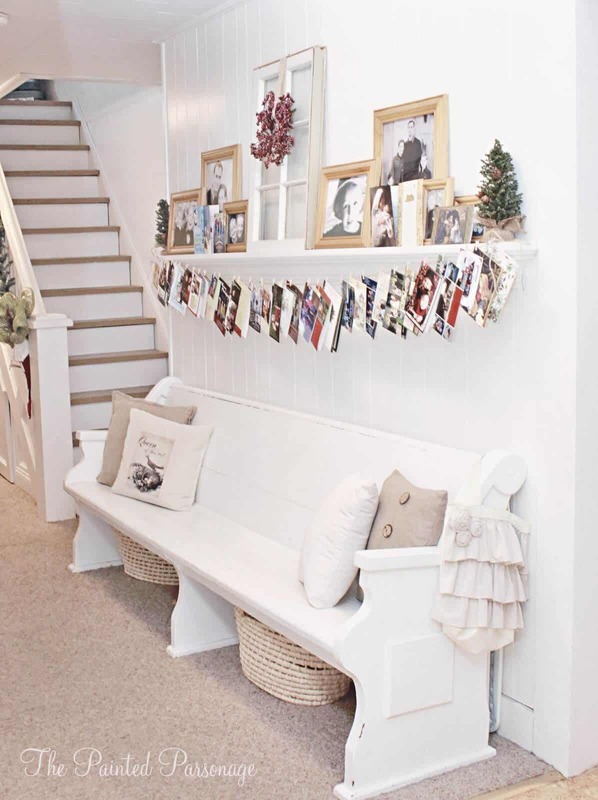 To make sure you keep that Farmhouse feel all year long, we’ve rounded up some simple ways to decorate your home this year. 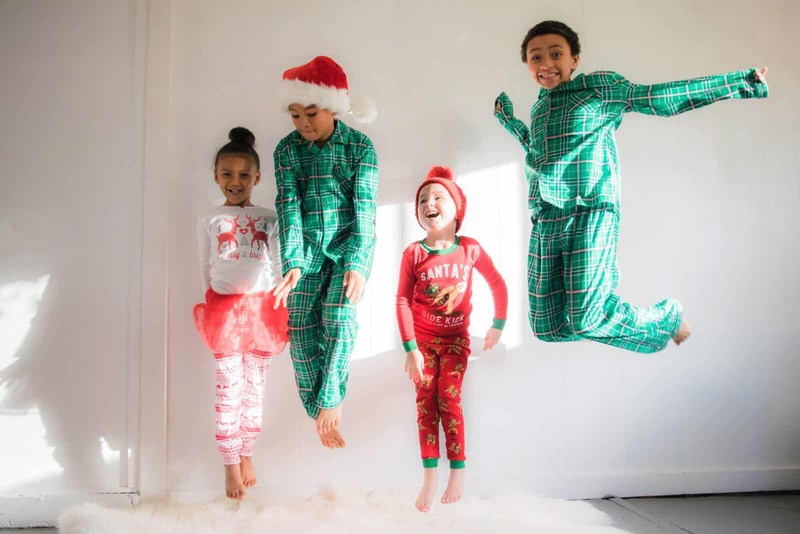 These festive farmhouse Christmas decorations are easy, stylish and the perfect way to accent your home during the holidays this year. Is it really the holidays without a festive wreath on the door to greet guests? 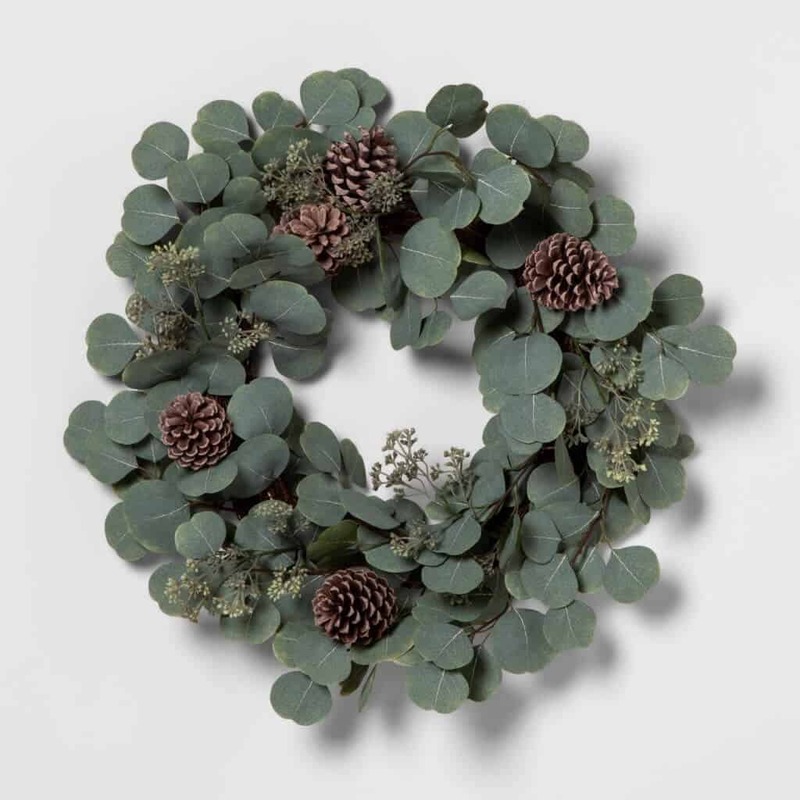 Not everyone has major DIY skills, but you can still deck the halls with all the farmhouse feels when you buy a pre-made wreath. Craft stores and big box retailers like Target love the farmhouse trend, so you won’t have any problems finding a gorgeous one this year. 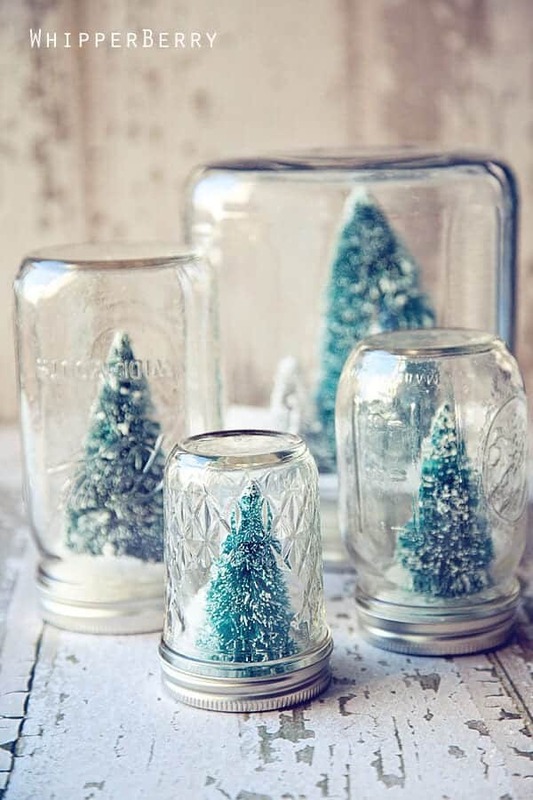 Make sure your Christmas tree gets the farmhouse treatment this year, too! 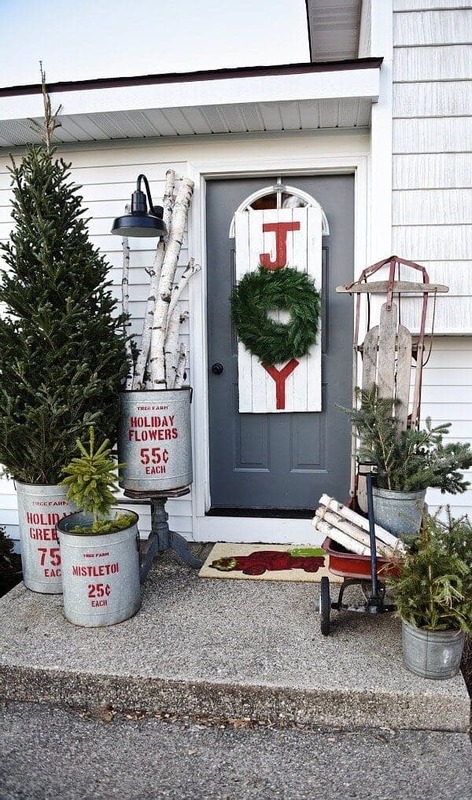 Add some wooden beads, vintage plaid garland and don’t forget the rustic ornaments. This style of decor maximizes textures so wood slice ornaments are the perfect fit. If you don’t have a wood burning tool-no problem! 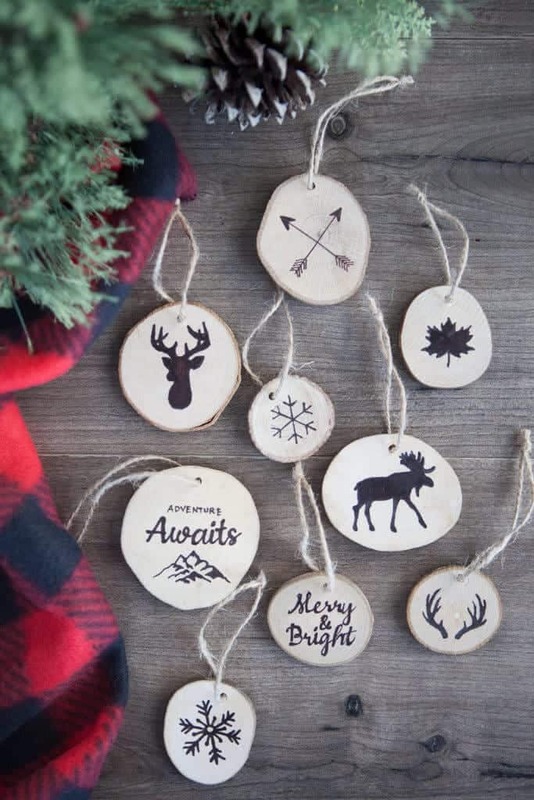 These ornaments are made with pencil and marker! 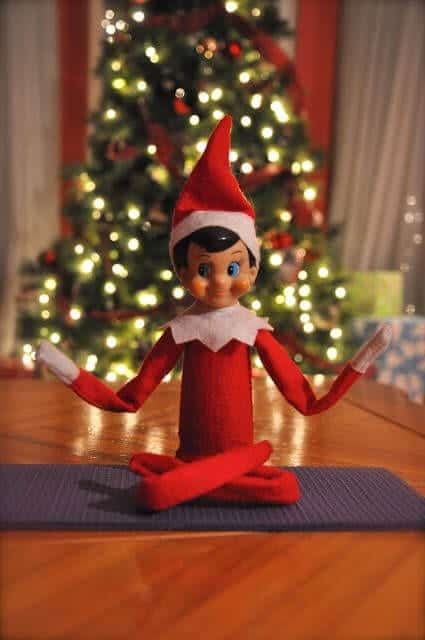 Excuse us while we run out to get supplies! 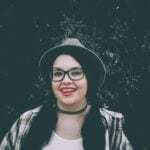 Check out how easy it is at SimpleAsThatBlog.com. 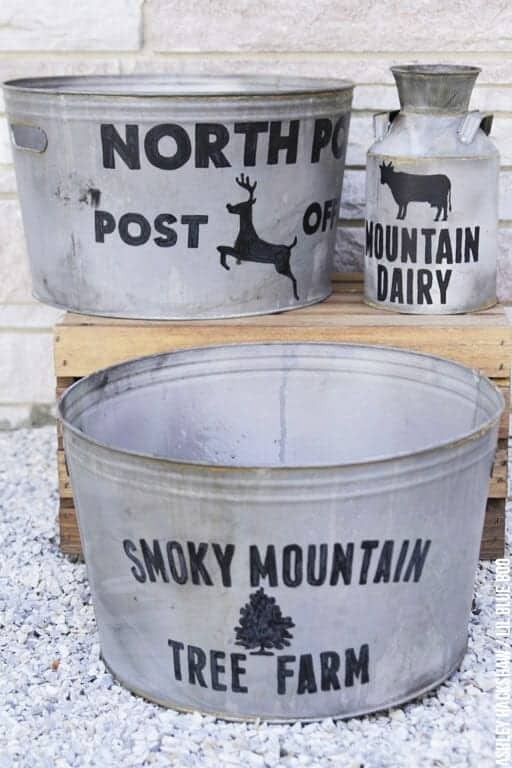 Old looking galvanized buckets and pitchers are a mainstay for Farmhouse decor. 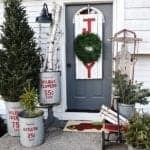 Whether they’ve been actually used on a farm, or you just give them that galvanized look like this designer did, you can add some simple holiday themes that will make them perfect for your Christmas decor this year. 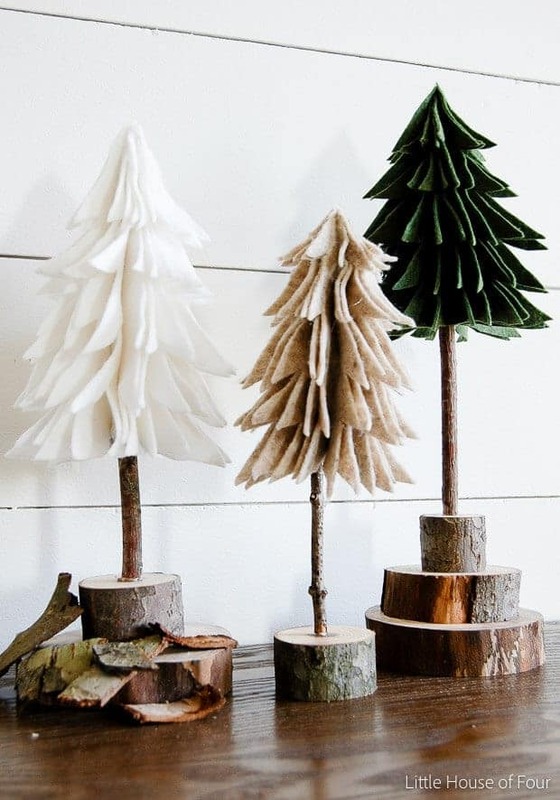 Woudln’t these be cute in your entryway, or under your tree? 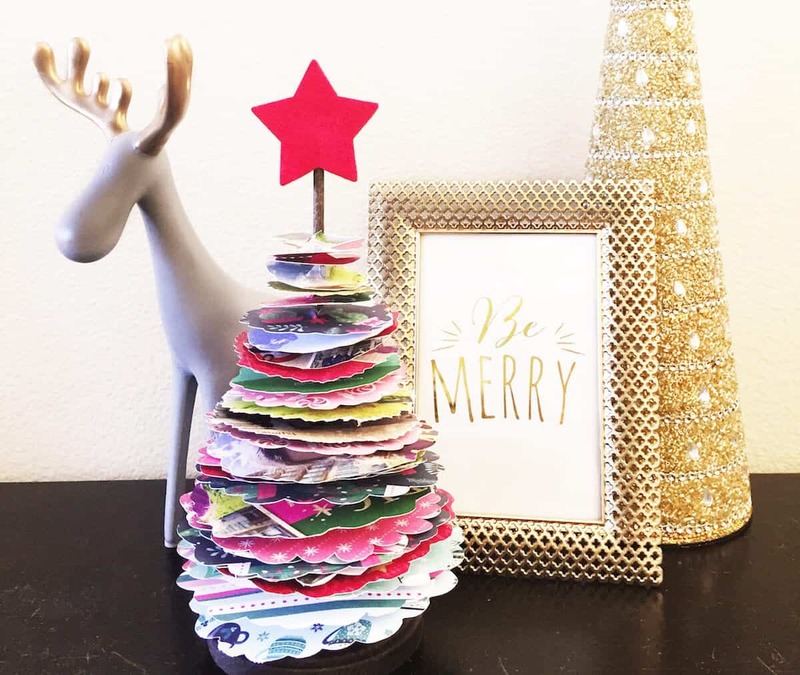 Check out the easy way to galvanize new buckets, and how to use transfer paper to do this craft yourself at LilBlueBoo.com.